On April 21st, 2018 youtube representative posted on Youtube Help forum about the delay in monetization applications being approved apart from fulfilling the new criteria that started in December last year. According to him, the reviews are still in progress. Youtube's monetization tab in the creator's studio said that reviewing will be complete till the end of April. Keeping in mind these reviews have been piling up since start of November 2017 when the monetization criteria was just 10,000 views. Youtube said that reviews will be completed by the end of April. According to the post at Youtube Help Forum, the change in monetization policy in December is the main reason for delay. 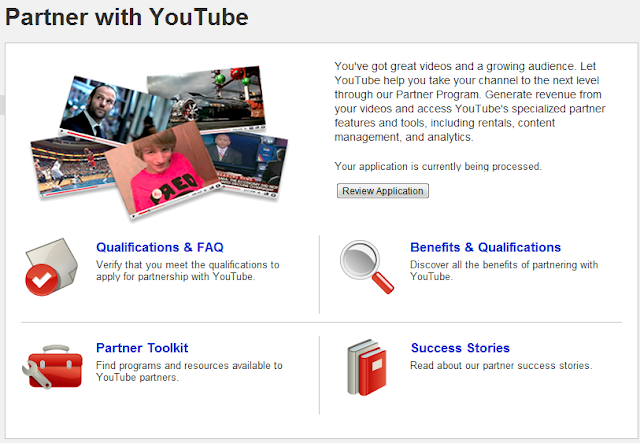 Youtube has been unable to stop spam monetizers from earning through their program. Although they have changed their policies and monetization criteria as well as added new team members to the reviewing process. They still can't get the job done. Even with the enhanced number of team members and a harder monetization criteria to fill, youtube says that they will take till June 2018 for the "right channels" to be approved. What are the Right Channels? Youtube is trying to reduce the number of channels that are using copyright or inappropriate content as monetization material. Youtube team in now considering all the factors that will help them check whether the channel deserves monetization privileges or not. Apart from fully complying with the Community Guidelines and YouTube Partner Program policies, the things that will be checked include your uploaded videos, strikes, views, subscriber count, and watch time. So all the factors of your channel will be taken into consideration. How can newcomers fulfill the criteria? Ever since the December update, content creators on youtube have been trying to accomplish the task of completing the criteria setup by youtube. Now, content creators have to get 4000 watch time hours in the last year and 1000 subscribers which is one hell of a task to complete. The simplest and easiest answer to completing this task is to grow your audience more and more steadily. Subscribers and view count accumulates steadily, you need to build interest in your audience, that will eventually lead you to be discovered more frequently in youtube search engine results. Building audience takes time and effort. If your content clicks with the viewers your audience will grow substantially. Youtube is filled with billions of viewers, the chances of good content not being discovered is insignificant. What Channels does Youtube Prefer? According to an update on April 20th, 2018, youtube is giving preference to channels with more view count because of an obvious reason, potential revenue. Youtube will certainly prefer those channels with the highest probability of making money for them. Does Youtube search prefer Monetized Channels? Although youtube has repeatedly said that the search algorithm does not take monetization as factor for search results. Content creators have been repeatedly saying that youtube has been favoring monetized channels over regular channels without ads. Well the answer to this one is simple, since you can search for certain terms yourself, try some search term in youtube search engine and check the first 3 results for monetization. Comment the answer here and we'll update the post for most number of answers for either monetized or un-monetized. I hope this article helps you, I will be writing more on Youtube in the upcoming future. Don't forget to follow my blog Ali Khan Blogs on facebook at Akblogspk.